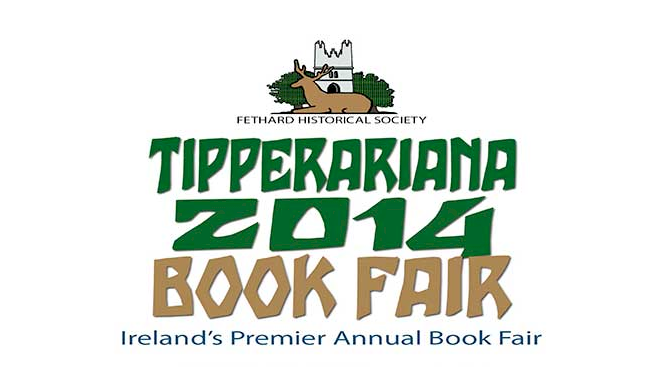 Tipperariana is an annual book fair which takes place in the village of Fethard in Co Tipperary. 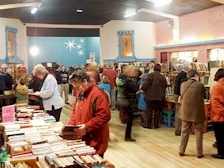 It’s a cornucopia of delights for all book lovers, with dealers from all over Ireland in attendance selling books of all kinds. There is something for every pocket, from inexpensive second-hand paperbacks to rare first editions costing hundreds of Euro. If you have interesting books stashed away and wonder whether they are of any value, an appraisal service is offered during the fair, with dealers putting a value on volumes brought along by the public. While in the town do take some time to have a stroll around. The town was surrounded by walls as high as 25ft as part of Edward I’s policy of establishing fortified market towns. Many other Irish towns had similar walls but those in Fethard are the most complete, in fact are almost completely intact. When you are done with the books, take yourself over the to see some of the fascinating exhibits at the Fethard Folk and Transport museum which is also the location for a regular Sunday car boot sale, which claims to be the largest in Ireland. A weekend of talks, readings and other events held annually in Wexford town.